The House: Intriguing architectural lines and captivating interior design combine for an incomparable experience. Clean, contemporary and uncluttered… yet comfortable, warm and oh-so-livable. Spaces flow seamlessly from indoors to out, for quintessential Costa Rican living. The Jungle & Wildlife: More than 60 acres of ancient, pristine, TRUE primary rain forest reserve, stretching to the top of the mountain, never to be touched. Enjoy unforgettable moments as you hike the nature trails and hear the echoes of a primordial world. There are not too many homes in the world that include access to a private nature reserve quite like this. Trees exceeding 30 ft. circumference and soaring more than 150 ft. tall… a 100 foot cascading waterfall… boundless birds including: Toucan, Aracari, Laughing Falcon, White Hawk, Swallow Tail Kite, Mealy Parrot, Orange-Chinned Parakeet, King Vulture, Oropendola, Trogan, myriads of hummingbirds, and the occasional Scarlet Macaw. The land is teeming wildlife and you can expect to witness species such as the White-Face Capuchin Monkey, Howler Monkey, Three-Toed Sloth, Kinkajou, Coati Mundi, Wooley Opossum, Anteater, Agouti, Whitetail Deer, Peccary, and the tracks of wild jungle cats…. Isn’t THIS what’s drawing you to Costa Rica in the first place? The Arbol Viejo Community: Exclusive, private, boutique gated community set at the top of the road in Marina Vista I. (Second of only five homes to be built, including the builder’s personal residence.) Community amenities and care-taking create a hassle free turn-key ownership experience for ease of living. Benefits include roadside landscaping, common jungle hiking trails, a 24-hour security presence, reliable potable water system, community vivero, 1x per week home grounds-keeping, and weekly house cleaning services are available to keep the interior of your home pristine whether you are visiting or away. 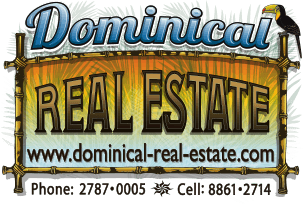 The Area: Situated in the highly sought after Escaleras area in Dominical, the property’s location offers convenient access to the most popular destinations in the region. Only 4 minutes to the beautiful Poza Azul waterfall, 8 minutes to the tranquil shores of Dominicalito beach; 10 minutes to the surf town of Dominical; 20 minutes to shopping in Uvita; 30 minutes to the finer restaurants of Ojochal. Wonderful Wood – Solid tropical cedar cabinetry, doors, and more – all “one-of-a-kind” custom designed and detailed exclusively for Casa Bambú. Expansive solid wood “tablia” (tongue & groove) ceilings throughout the entire house – inside and out. Magnificent Metal – Superior crafted deco windows, doors and railings for 3-D artistic security – custom designed exclusively for Casa Bambú. Stunning Stones – Exotic granite and onyx counter tops; rough-carved stone sinks; polish marble bowl sinks; pebble stone accents; entry portico, pool decking and column coverings in native coralina; white marble pool tiles; hot-tub tiles of Royal Veta stone; giant carved boulder soaking tub. Tasteful Tiles – Discriminating selections of texture, color, and dimension, combined to aesthetic perfection. Luminescent Lighting – Artistic fixtures, with size, shapes, and dimensions selected to complement specific areas. Custom designed ceramic wall sconces illuminate outdoor living areas, casting a glowing “butterfly” design in golden light.